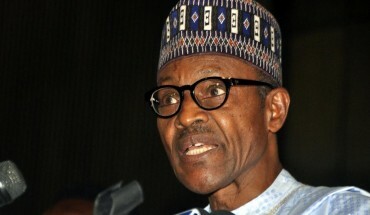 Nigerian officials charged six central bank workers and 16 commercial bankers in a $40.2 million fraud scandal on Sunday, just days after the country’s new president, Muhammadu Buhari, took office after winning election on a program focused on ending rampant corruption. Still, while the bust is substantial, it pales in comparison to the billions lost to fraud in Nigeria every year. And Buhari will still have his work cut out for him to prove he is serious about fighting the scourge of corruption in Africa’s biggest economy. “It was a relatively clumsy scam and the amount at stake is a literal drop in the bucket of the far larger corruption issue,” said J. Peter Pham, head of the Atlantic Council’s Africa Center. “Hence it still remains to be seen how the new administration tackles the endemic corruption that pervades the political economy” of Nigeria. Nigeria’s Economy and Financial Crimes Commission said the officials conspired with the Central Bank of Nigeria for a “mega scam,” according to a Sunday statement. Rather than destroying defaced notes of the local currency, the naira, the bankers replaced them with newspaper cut to look like banknotes and took the money for themselves. “The fraud is partly to blame for the failure of government monetary policy over the years as currency mop-up exercises by the apex bank [i.e., the Central Bank] failed to check the inflationary pressure on the economy,” the agency said. (In other words, by not reducing the supply of money in circulation, the officials helped inflation remain higher than it otherwise might have been.) The suspects are set to appear in court on Thursday. Corruption is a serious problem in Nigeria. Despite being Africa’s biggest economy, it ranks 136th out of 175 countries on Transparency International’s 2014 Corruption Perceptions Index — the same rank as Iran and Russia. Fraud costs the government billions in oil revenues, the main source of its income, every year, according to some estimates. Forty-six percent of Nigerians continue to live below the poverty line, according to the World Bank. Gross domestic product per capita is just $6,031, compared with $13,046 in the second-biggest African economy, South Africa, according to the International Monetary Fund. Corruption in Nigeria brings “painful uncertainty for investors and heavy costs for business,” wrote Chris Bishop, managing editor of Forbes Africa, in a recent editorial. However, he noted the relatively peaceful transition of power and incumbent president Goodluck Jonathan’s leaving office smoothly, something that isn’t always the norm in West Africa. The investigation on the currency scam was in the works long before Buhari took power. Nigerians and outside analysts are watching closely to see what Buhari does next. “We will know that the anti-corruption push is serious when truly big heads begin to roll,” said Pham, noting that those being arraigned in this case are relatively low- or midlevel officials at the financial institutions, rather than senior executives.